Fridge Magnets with your custom shape and Imprinted with your logo in any number of colors (from 1 to infinity). There is no additional die charge for custom shape magnets, and no artwork design charge! Lowest Prices in USA and Canada for custom shaped magnets. American clients pay no taxes. Just Email or Fax us a sketch. 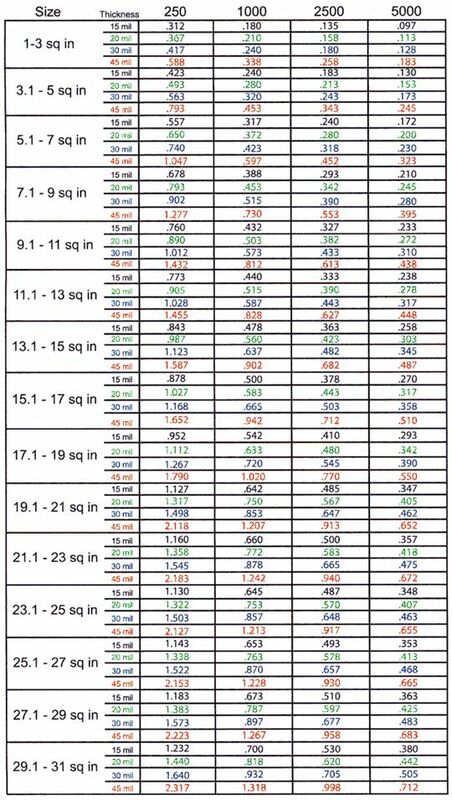 Pricing is only determined by the size and the thickness of your magnet: see the Price Table. To obtain the square inches, multiply the maximum width of the magnet by the maximum height of the magnet. Prices include printing in up to full-color (unlimited number of colors). You may specify PMS colors, but not for full color imprint. - Paper proofs: add $20.00 per paper proof. - We can ship a quantity different from those in the Price Table (as long as it is larger than 250), for an additional cost of $25.00. Size: from 1 sq. in to 31 sq. in and beyond (please contact us for pricing of magnets larger than 31 sq. in.). Thickness: 15 mil, 20 mil, 30 mil or 45 mil (your choice, see the Price Table). Production Time: about 7 days after art approval. Wholesale Custom Shape Magnets. Promotional, Inexpensive. Budget Prices for USA, Canada. Free Custom Shape, Free Full Color Imprint. Item #: CSFM, plus add the Size above. For instance: CSFM 21.1-23 sq in.